To view our current properties for sale, click here! 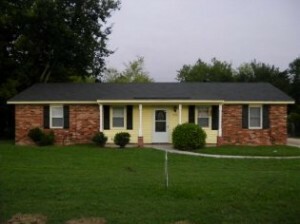 Search through our affordable homes for sale in Augusta GA and CSRA area. We have homes for sale in both Columbia and Richmond County, as well as across the border into Aiken County, South Carolina. As the largest realty company in south Augusta, we have the resources to help you find the perfect place to call your own! Whether you want to purchase a second home for the summer on the lake of Clarks Hill or are searching for a first house to own in the surrounding Augusta, GA area, we have a variety of homes to choose from within reasonable your price range. Search through all of our homes for sale in Augusta, GA with the option to search by price, number of rooms, and location, making the process of finding the right area and cost for you as simple as possible. Veterans Realty founder and Broker in Charge, C. Murray Williams, has over 41 years of experience in helping the people of Augusta purchase their homes, and with most of our agents having over ten years of experience in the realty business, we have the knowledge and ability to guide you in the right direction during the purchase of your home. If you find a property you are interested during your search, feel free to contact us about learning more, and getting a realtor to take you on an in-house walkthrough to give you a better look into your possible future home. Contact us at 707-793-2400 for more information.